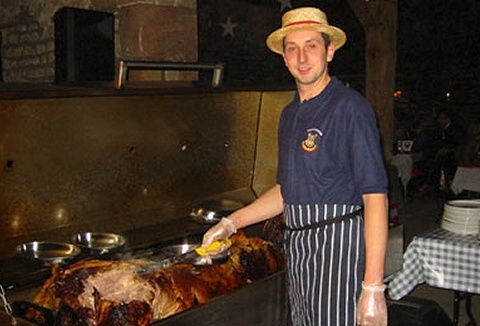 We can cater for all you hog roast events. We will arrive on site and get setup ensuring you have a hassle free day. A local grown pig slowly roasted served with apple sauce and stuffing, soft floury baps, accompanying chutneys, pickles and dressings. The meat off a spit is absolutely delicious and makes a wonderful feast. Hogs are supplied by local farmers with freshly baked rolls from local bakeries. Relishes, sauces and salads can be tailored to your requirements. We will cook & serve at any venue! 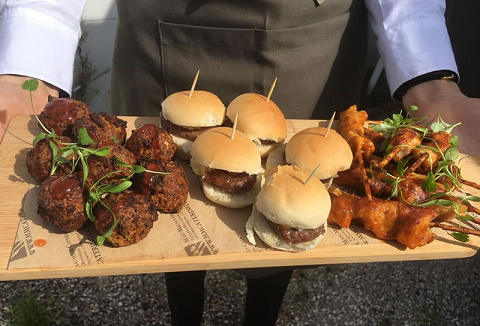 You can enjoy a stress free function whilst we provide the highest quality and most fantastic meat you will ever taste, ensuring your guests will have a party they will never forget! We also cook rolls of silver side beef, cured hams, chicken and turkey.